Since I first heard “Somebody Told Me” on the radio back in sophomore year of high school, I have been a diehard fan of The Killers. So far they haven’t disappointed me, and out of all of the music that I’ve listened to and have in iTunes, The Killers is probably the one up and current band that gets a religious following from me, going so far as to buy each and every one of their albums thus far in hardcopy, not digitally. Including the latest, which came out Sept 18, Battleborn. Which I purchased right before driving over to the Northern Ohio Society of Children’s Book Writers and Illustrators conference in Cleveland, promptly popping it into the CD drive as I was pulling out of the parking lot. Like the albums that have preceded this one (with the exception of their first), this one has the essence of the Hot Fuss Killers we first heard way back when, but also something new added to it. With Sam’s Town it was a kind of added “ruggedness” and “edginess”, with Sawdust there was a kind of “nostalgia” with all different levels of darkness, and with Day & Age, there was a kind of “other-worldly glitz” to it. 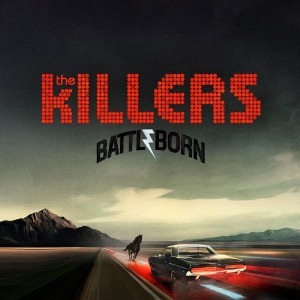 Now with Battleborn, there’s something that seems to ring true–or at least it did with me–with not only on a reflection on bygone dreams in the state of mind of one who’s gone and lost or ruined them somehow, but also of those who still have dreams even when the world tries to tell them it’s impossible. Particularly in a couple of songs: “Deadlines and Commitments” and “Be Still”. The former seems to be an offer of helping hand from one friend to another if things get too rough, and the latter seems to be an encouragement to work hard at what you love no matter how others may judge your efforts and products. Needless to say they were rare mood-lifters, mostly because I like to think that they’re indications that those who have succeeded don’t want those of us who are still climbing to lose hope. And overall, it’s a pretty epic album anyway, especially the guitar in “Miss Atomic Bomb”. Previous Post Romney Doesn’t Know the Meaning of Mandatory?